My family has a long history with the Boy Scouts of America. Years ago my father worked for the Grand Teton Council which includes Rexburg, Idaho Falls, Pocatello, and Blackfoot. He was very active in helping myself, and my boys get their Eagle Scouts. 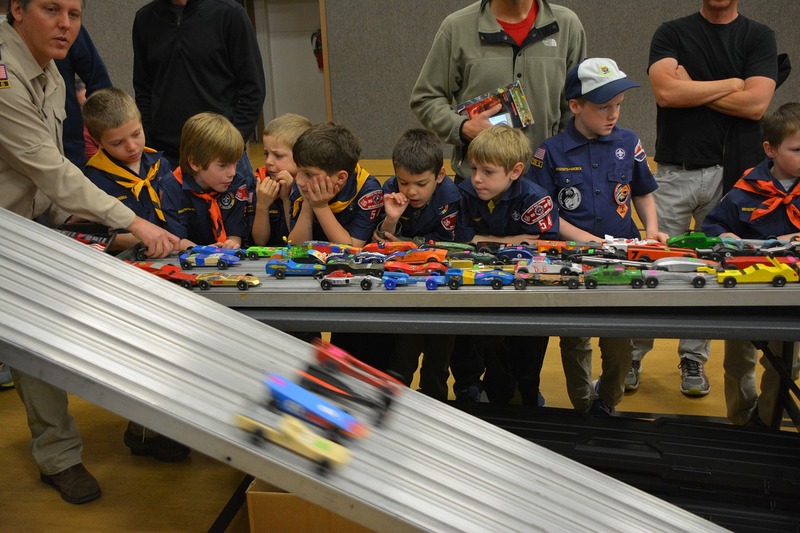 Between my dad and my sons, we have 7 Eagle Scouts, and we estimate my dad helped make about 25 pinewood derby cars! It’s because of my father that I have such an appreciation and love for scouts. When my father passed about ten years ago, I felt a desire to continue helping with the scouting program to honor him. Currently, I have the opportunity to work with the 11-year-old scouts, which has been quite the adventure. I think many of us know what the attention span of an 11-year old boy is. They will often be the ones to make the joke “oh look, squirrel!”, but I love their zeal and desire to do good! We want the boys to progress and earn merit badges and get rank advancements, but while they are working and growing, we also want to make sure they are enjoying it. Finding the right balance each week between “fun” activities and teaching the basic skills they need to pass off is the greatest challenge, but seeing the excitement on the boy's faces and watching them progress makes it worth it. One of my favorite memories from scouts came just this last summer. We took the boys to an 11-year-old scout camp called Camp Little Lemhi. It was a surreal experience since the last time I stepped foot in that camp was 25 years ago as a young scout myself. I faced a flood of memories, such as the time I was sleeping outside and woke up to find a skunk next to my head rummaging in my bag! The boys loved the trip, and we were able to get a lot of good things accomplished for the boys.